Have fun in the garage with this Little People Big Helpers Garage Playset! This playset allows your little one to learn and have fun around the garage. Whether its zooming around with the tricycle, helping to take out the garbage, racking up the leaves, or having a ball shooting some hoops, it's all fun when you do it together! 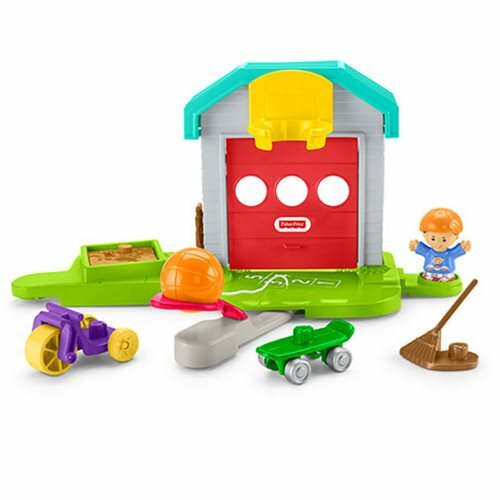 Have fun with this Little People Big Helpers Garage Playset!